Superwoman #5 continues the revelations from the previous issue. 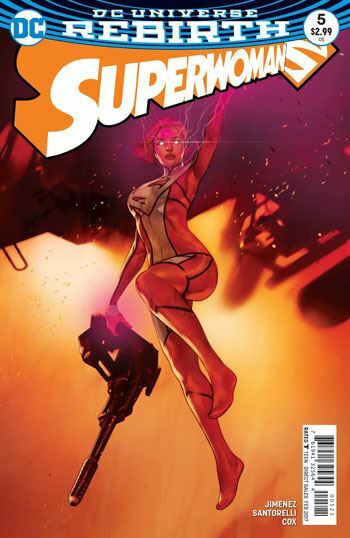 Lena Luthor is Ultrawoman, and though we had already learned a bit about how she transformed herself into this cybernetic monster, and created her army of Superwoman drones, in this issue we see exactly how much that cost her. There seem to be a lot of prices to pay for the various characters in this issue. Lana Lang risks her life, her sanity and her relationship to be the kind of hero she never wanted to become. And for her troubles she gets haunted by what seems to be the ghost of the New 52 Lois Lane. Steel proves himself to be such a devoted boyfriend you’d almost think he was a dog. Perhaps it’s simply because the book very strongly explores the female characters, but John Henry Irons feels reduced to a bit of a doting and faithful lover stereotype. On the other hand, there is an awful lot going on, and further development of his character can easily sit on the back burner. Natasha Irons gets seriously wounded during the events of this issue, but we also find out that she is in a relationship with Traci 13. Had this been revealed before? It was news to me. Another surprise, for me at least, was the quick introduction of Bibbo’s daughter, done in such a way to make me think that she must have made her debut somewhere else, although again I do not recall seeing her before. Clark Kent also makes an interesting cameo. Or at least a teasing one. This is not Superman-as-normal-reporter, this is the not-Superman-at-all Clark Kent that has been appearing since Rebirth began. While there are no further answers or explanations about the character, we do get to hear Ultrawoman’s take on him. On the down side, this issue is a lot of talk and explanation, building up to a fight that is too brief, although the conclusion of it does create an interesting situation. 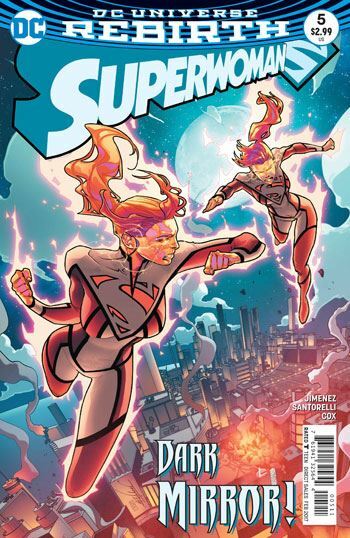 I am eager for the story to finally take us to the big Ultrawoman/Superwoman battle that has been building up.